The Atrium’s seating capacity is 524 reception, 300-350 sit down, or 400 theatre style. The atrium also includes our Hall of Fame room for small groups. 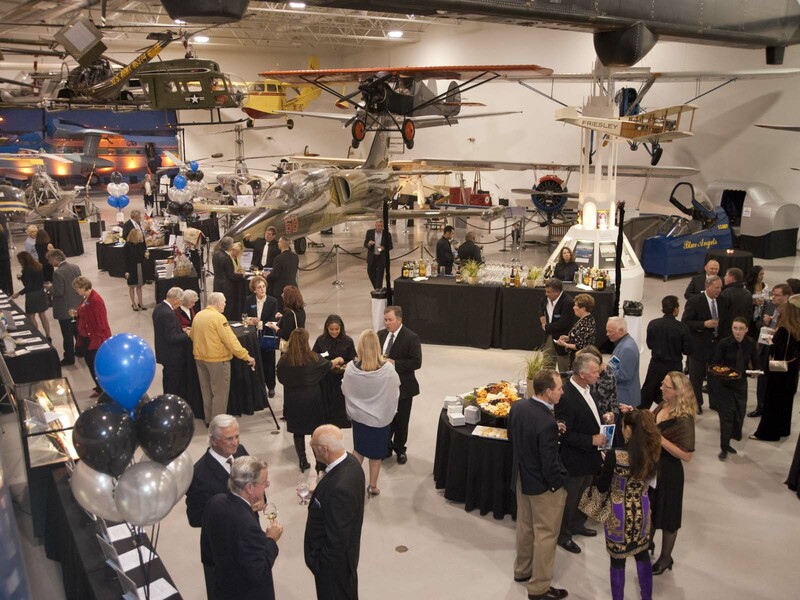 With 8,640 square feet of floor space, the room has been used to host dinners, receptions, fundraisers, corporate meetings and memorials. 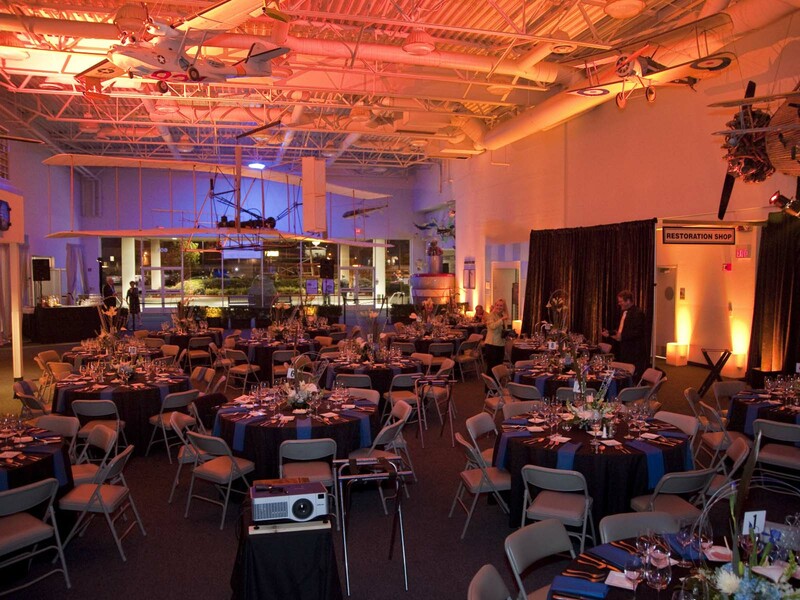 It can conveniently handle a stage, dance floor and any lighting needs your event may request (depending upon museum approval). The Museum Gallery houses the majority of our exhibits. 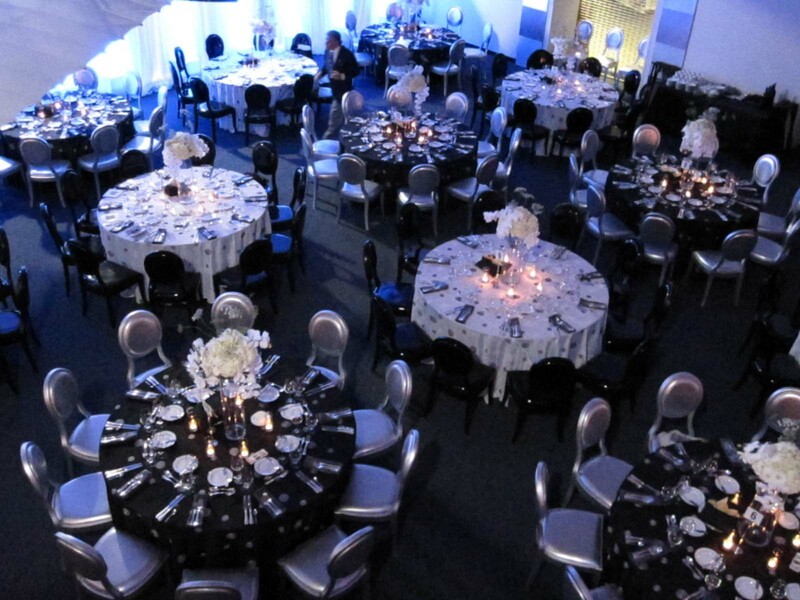 With 27,600 square feet of floor space, the Gallery can host up to 800 guests or 300 guests for a sit down reception style dinner. 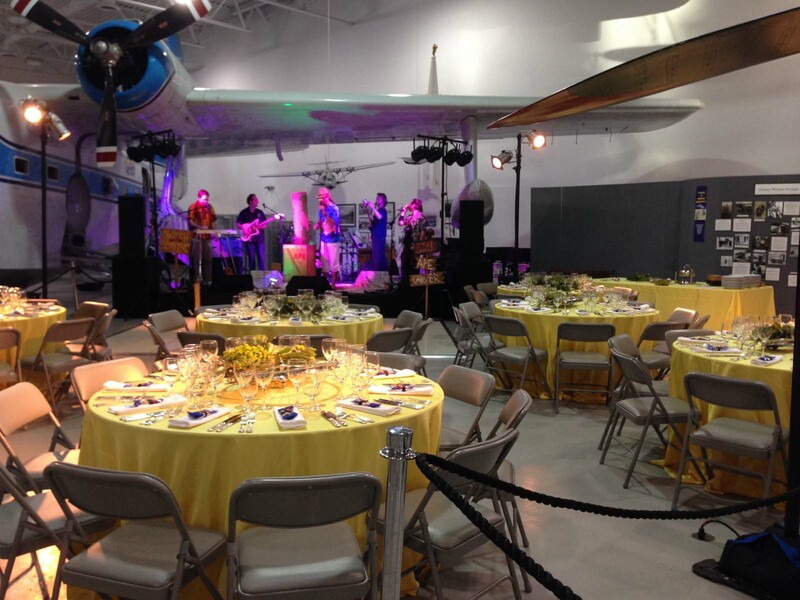 It can be used for casino parties, cocktail receptions, silent auction fundraisers, or just for your touring pleasure! This versatile space can host meeting space for 50 theater style, 50 sit down, or 42 classroom style. This wireless enabled room is conference style with tables, chairs along with a pull down screen, and a whiteboard for the user’s convenience. There is also audio visual available upon request. It is located at the rear of our facility with views of the San Carlos Airport. This room is adjacent to the caterer’s kitchen. 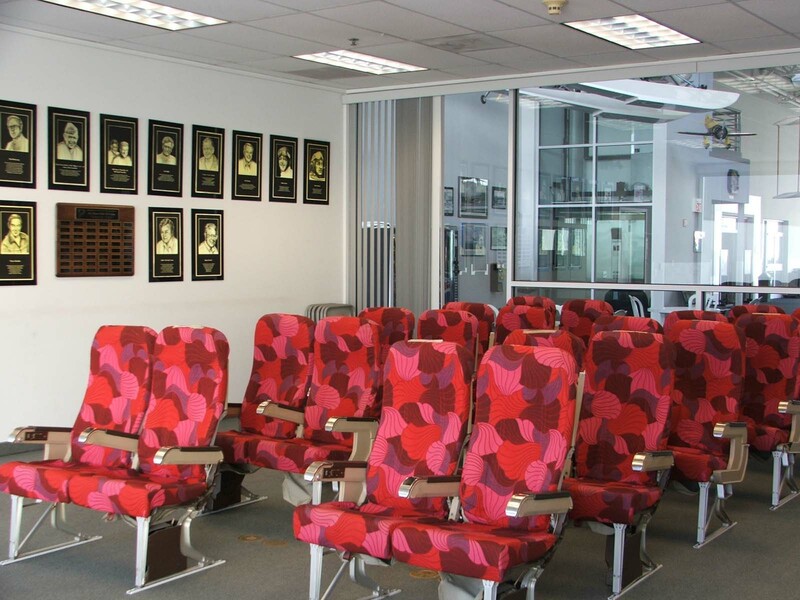 The Hall of Fame room is a room that recognizes unique individuals and their contribution to the air show industry. Our Hall of Fame room can host meeting space for 50 theatre style or 40 sit down style. 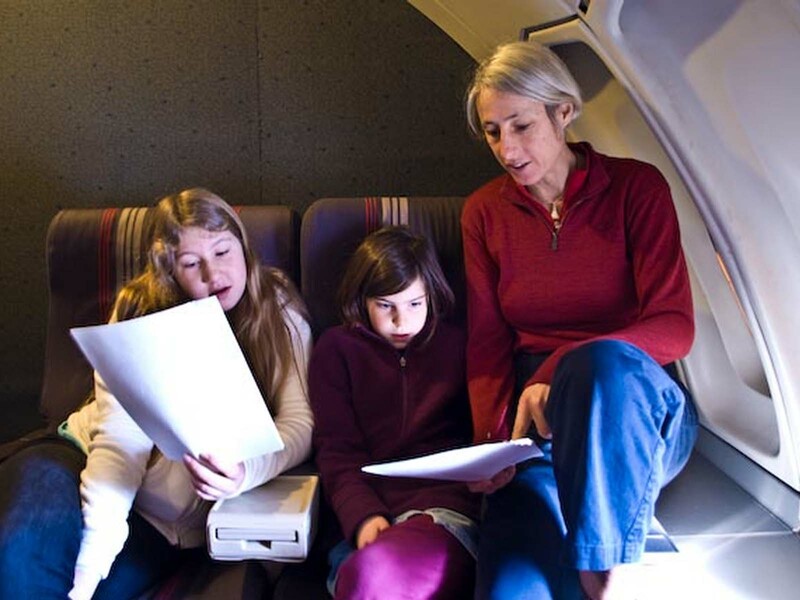 This wireless enabled room comes equipped with tables, 20 unique airline style seats, a pull down screen and an overhead projector for the user’s convenience. This room is great for small meetings, and both children and adult birthday parties. 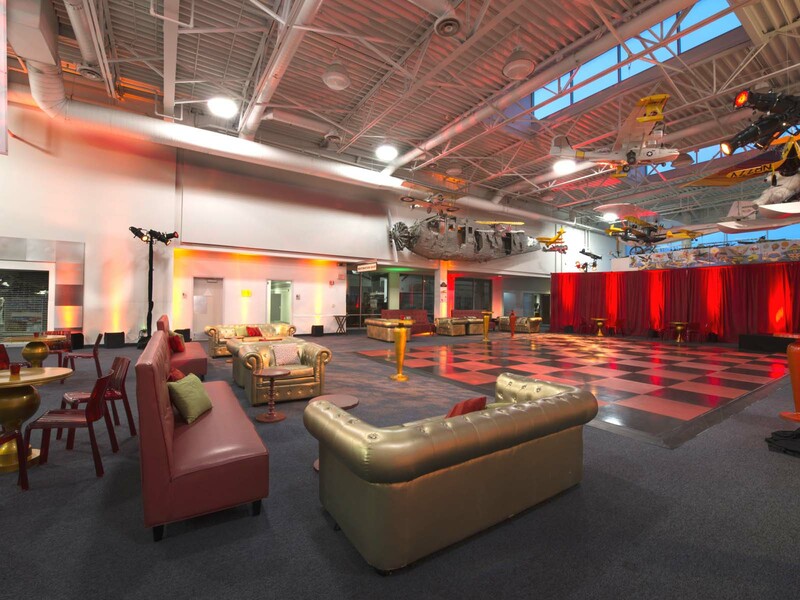 The Hall of Fame room is located at the rear of our facility with a great view of the museum’s favorite attraction, the Boeing 747! 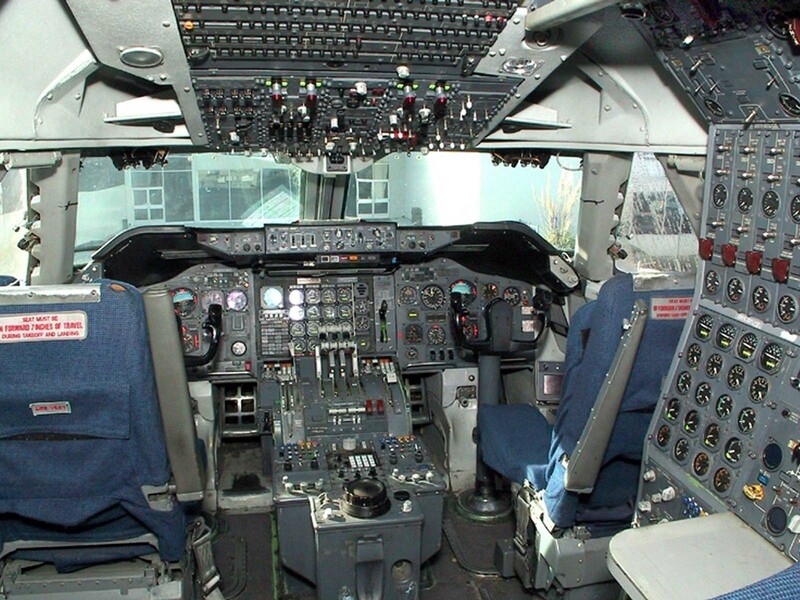 The museum’s Boeing 747-136 first flew in March 1971. 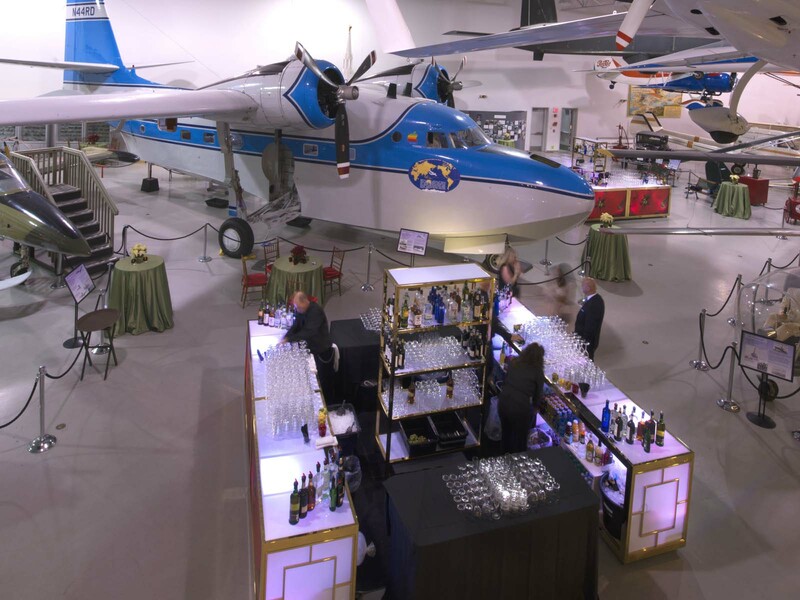 The Boeing 747 is a great attraction here at the Museum and it has been used for still photographs and photo shoots in movies. Why waste time, energy, and money, flying to Los Angeles to rent a sound stage, when ours is conveniently located. 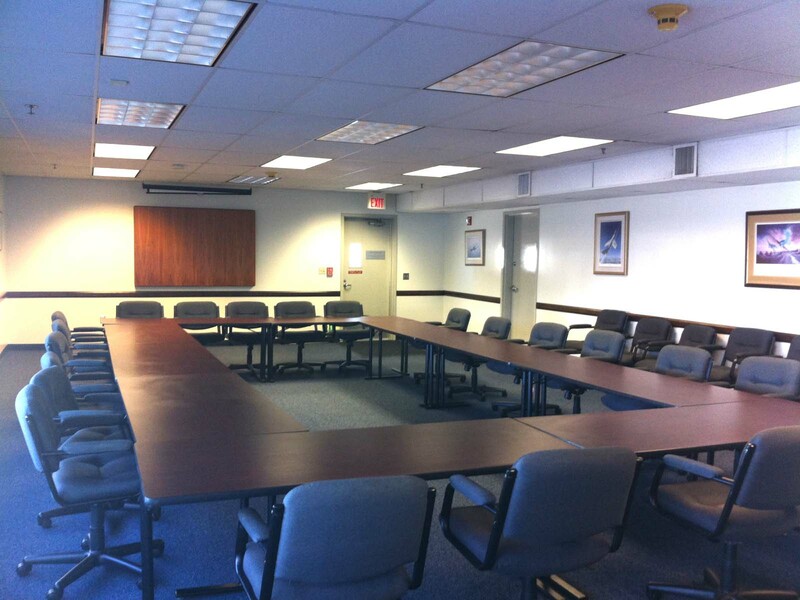 We can also provide our Doyle Conference room as your staging room free of charge! Enjoy the thrill of being in the pilot’s seat. 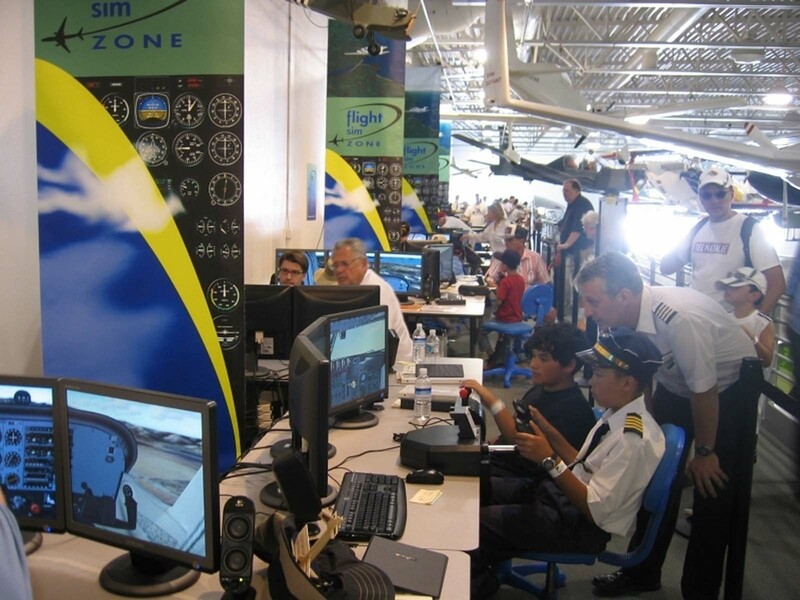 Our state-of-the-art flight simulators challenge you with your hands on the yoke and your feet in the rudder pedals. A fantastic and unique experience for your event. Limited seating. Assisted by staff instructors. Accommodates approximately 40 people per hour at $180 per hour.